I’m thrilled to present Blog Dylan — a community collaboration! On December 16th some of the finest bloggers in the wild world wide web gather to share their thoughts, feelings, memories, reviews and critiques of Bob Dylan — the man, the music, the legend. Love Dylan? Loathe him? Somewhere in between? Everyone knows who he is and most have an opinion. Come on by and have your say! By way of introduction, I share my impressions of a Bob Dylan concert. The aforementioned bevy of bodacious bloggers delve deep and in different directions, so visit them all for their unique perspectives, insights and stories. They’re all music aficionados and welcome your comments and discussions. Blog Dylan artwork by Bruce at Vinyl Connection. I know this is going to sound a bit southern hemisphericentric, but I’ll post after breakfast on the 16th. My breakfast, that is. Which you are welcome to drop in for, I make a good coffee. Or not. I’ll be afternoon tea-time for you. On Friday. Jeezus, can’t we all just move to the same city? I adore some southern hemisphericentricity in my afternoon tea-time. I’d be delighted to join you. I hear there’s a new media room in the Carolinas! It could be our great trek 2018. By my reckoning, this is the landmass (if you could flatter it with that name) closest to the half-way point. You will notice that the airstrip takes up most of the dry ground, but I hope there might be room for a picnic table. 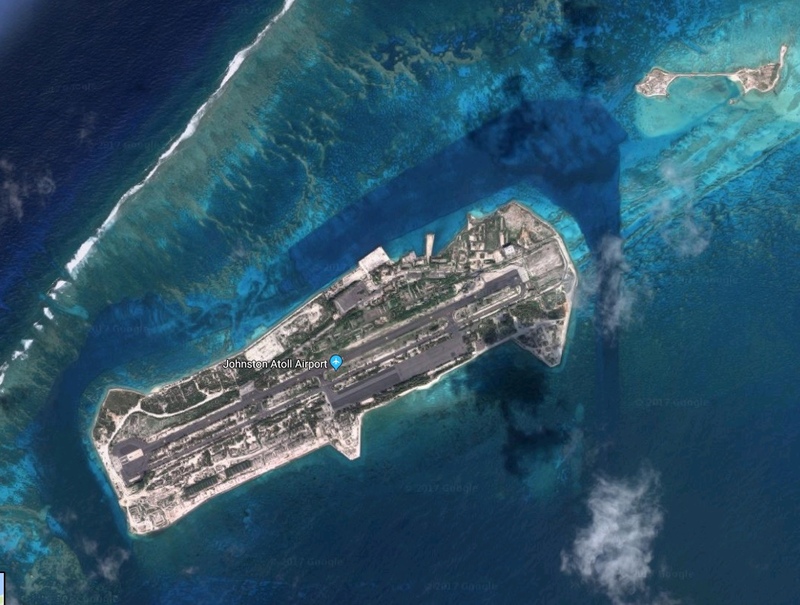 It’s called Johnston Atoll, for when you (and others) are booking flights. That was my next question! You have some impressive psychic abilities. Thank you. By the same arcane processes I also know it’s past your bedtime and you have a busy blogging day tomorrow. So cheerio for now. You could sense my slightly slower motions at the keyboard! Cheerio, mate. See you soon in all your Blog Dylan glory! A picnic table, a turntable, wifi…what more would anyone need? Bloggertopia. Bobnostic! 🙂 Well, I can certainly understand that. Lurking is most welcome! Thanks again for organizing this, Danica. It’s been a busy weekend but I will be visiting everyone else’s Blog Dylan posts in the coming days. Very excited to read what some of my favorite bloggers have come up with. Absolutely my pleasure, Rich! Thank *you* for contributing and helping to make it all happen. These bloggers have come up with wonderful reviews, opinions, memories and stories that I’m sure you’ll enjoy. I’m looking forward to your thoughts! I read everyone’s posts and was impressed by the diverse approaches on display. What a community we’ve got here. Also, thanks for sharing that clip from Kevin’s band. I’m always impressed when I hear his music, whether it’s originals or covers. They are an impressive group aren’t they? I love the diversity in their approaches. We’re so fortunate to have the best blogging community here. Kevin’s rendition is beautiful and I agree. Great concept! If you ever have a rerun, I’ve plenty to say on His Bobness, but in the meantime look forward to reading what others have put up this year. All the best.